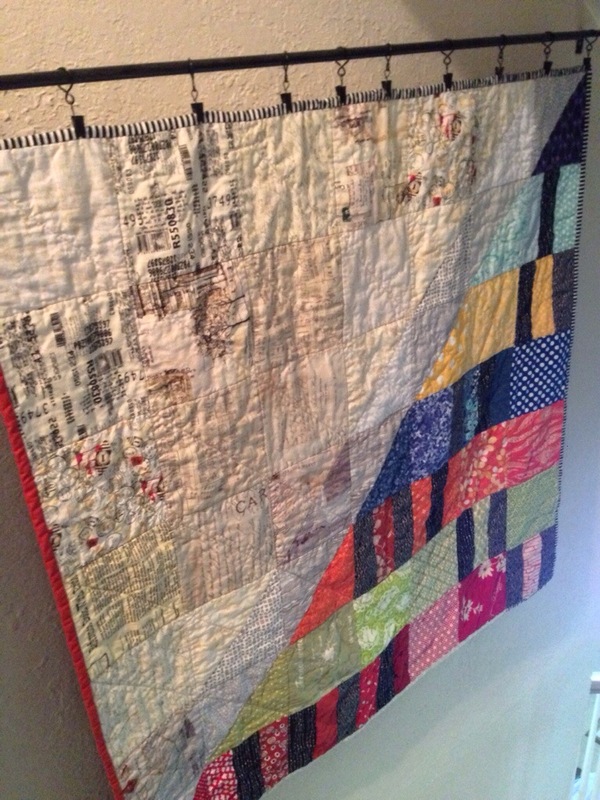 I had a space in my hallway to fill, just right for a 40ish inch square quilt. My favoritest size of quilt to make. 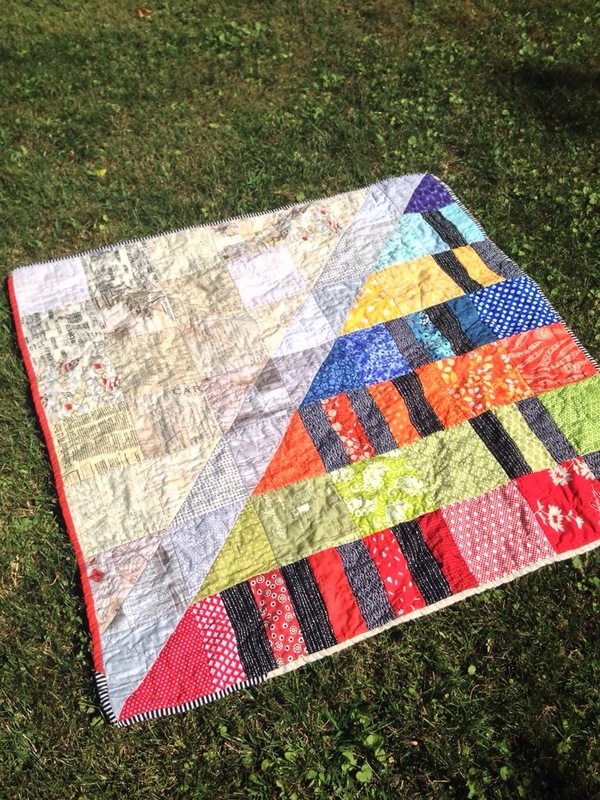 I had an idea of what I wanted to do – a combination of bright rainbow with low volume. When I described my beginning of an idea to my husband, he thought of Fraunhofer lines. I won’t go into what they are, but they definitely speak to the geeky side of both my husband and I.
I did diagonal straight line quilting – like for the bazillionth time. And bound it in one of my beloved Suzuko Koseki fabrics + Moda grunge + a low volume print. 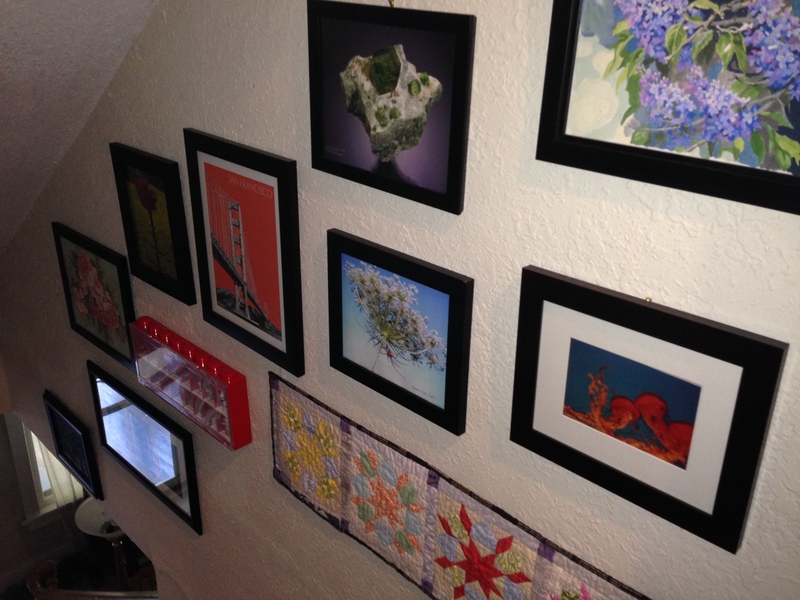 It now hangs proudly in my hallway – and is very hard to get an in situ picture of. But trust me, it looks pretty good there – with all of our other rainbow + black items.